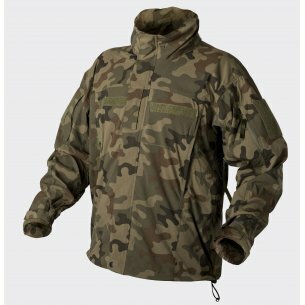 Soft shell jackets are a great alternative to field shirts. Especially on less cheerful days. Light rains characterizing the autumn and spring time are a great opportunity to test this type of clothing. If the product is of high quality and is equipped with a DWR (Durable Water Resistant) coating characterized by a high degree of windproofness and high breathability, such as clothes from the Helikon-Tex manufacturer, then it should be easy to handle during small rainfall and great protect the body against even strong winds. A soft shell jacket is almost always a better solution than a regular jacket. If there is no rainstorm or snowstorm outside the window, it is better to set up a soft shell when leaving the house. This type of product meets all the tasks of a regular jacket while giving much greater freedom of movement, allowing for a better economy of effort and provides a much higher level of comfort for the user. What distinguishes the delta tactical helicon jacket? Soft shell jackets from Helikon Tex Delta Tactical are characterized by high quality - two-layer, elastic Shark Skin material provides excellent protection against moisture and wind, while one of the main advantages of the jacket remains a high level of breathability. 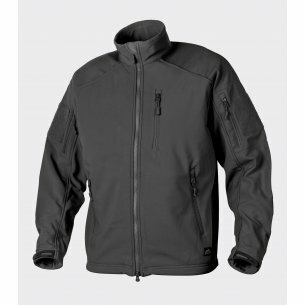 Men's helikon tex jacket has a stylish collar with a fleece lining, which in addition to the aesthetic function also provides good protection of the neck from the cold wind. The outer layer of the jacket has been covered with a specialized Teflon DuPont coating that ensures high resistance to water and dirt. The interior has been trimmed with a mesh and pleasant to the touch with soft fleece. Great solutions are velcro panels on the shoulders for easy personalization, flexible adjustment of the lower part of the jacket with pullers and cuffs, which thanks to velcro can also be adjusted. The two-way main zipper equipped with a thermal strip and chin guard provides a great comfort. A large number of pockets: a Napoleon pocket, another two shoulder pockets with a zipper and special cable passes, pockets placed on the chest and two pockets in the bottom part of the jacket also closed with a zipper. 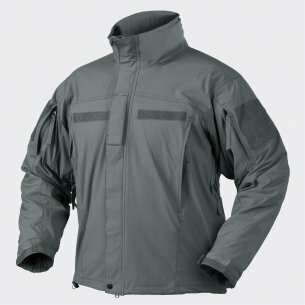 Who has the helicon tex delta tactical jacket been created for? 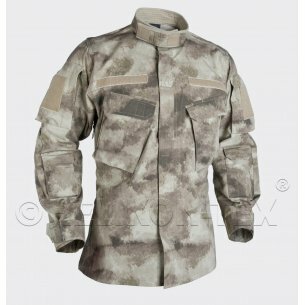 This type of clothing is an excellent choice for lovers of long walks in the forest, fans of military clothing and specialist protective clothing as well as people in whose aesthetics lies the typically masculine, outdoor cut of clothes. Soft shell from Helikon-Tex is also a great solution for people who carry a lot of small items. Keys from the apartment, keys from the car, wallet, documents and many other things - all this can be accommodated in the myriad of pockets in which helikon-Tex jackets were fitted. People who put on the functionality of clothing should definitely test this product. Clothing from the Helikon-Tex brand has long since gained recognition of all Polish fans of trips to the forest in uniformed clothing and specialist clothes prepared for this type of occasion. The brand gained great recognition in this niche, and its products have become a bestseller in its category. Today, Helikon-Tex also offers people who do not necessarily engage in camping. Morning walk around the city or an evening walk? A bicycle trip in bad weather? The tex delta tactical helikon jacket is also suitable for this type of daily activities. The clothes of this recognizable brand have of course retained the quality for which they were appreciated, and at the same time the offer has been so varied that it can reach a wide audience. Especially today, when clothing in the military style, in the colors cameo enters the broadly understood mainstream and is also present in netboards. However, when you have a choice for a company that for years sews clothes of this type and they are not only visually but above all genuinely fitted in a military style or a company that began to make such clothes because of fashion, but not quite "feel" this climate it's always better to choose the first one. For those seeking solutions that combine functional and aesthetic considerations, the deluxe tactical helicon jacket is a great solution. 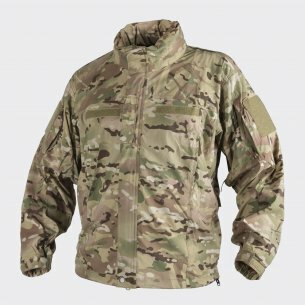 When looking for miltary clothing, it is always better to choose an original product - workmanship and workaround with the theme also translates into the climate that products have - it is not something you can get for one season. This climate definitely has products from Helikon-Tex.